Cloud computing is one of those buzz terms in the technology world. Yet, it is applicable to many users – spanning business and personal applications. From easy networking and team project management to cloud backup for documents, it is becoming a standard for anyone who uses a computer. Quickly: Who are the big players in cloud computing? If you’re not aware of Apple, Google, Amazon, IBM, HP, and other key players in this area – you have a lot to learn. And then, there are the popular brand names that are huge – services like Carbonite for cloud backup. Just like you would for any tech-based product, it pays to get to know which names are worth knowing. Once you know the standards, you can begin to consider your choice in depth. According to Quentin Hardy, "June 2012 may well go down as the month the tech world entered a new era." Referencing new cloud-based implementations for Apple and Microsoft – announcements made a week apart – Hardy acknowledged how this area is taking off. Could this meant that sticking to a "big player" is worth it, due to the intense competition? Does this mean that you should carefully consider your devices, in order to accommodate the built-in features that will make cloud-life more convenient? All signs point to "yes." Hank Marquis hammers in the point: You must understand on the compatibility of a cloud solution. Once you understand some of your options, and the features and prices involved, you must make sure it works for you. If not, you may want to look for a more general solution than the built-in Apple sync features, for instance. Or, perhaps cloud backup isn’t for you – and that’s fine. For some people, cloud computing is not necessary. Distinct advantages are present, but they just might not be for you. If that TB thumb drive is incredibly reliable and convenient for you, and you have a backup for that, cloud-based solutions might not be necessary. However, if you’re trying to sync multiple devices, have a strong service for all of your data, and link it to your mobile device – welcome to the cloud. Many other advantages will also welcome you – for a learning curve and a price (time and money). According to Marquis, trialability is an important dynamic in adopting cloud computing. You must be able to work with it, learn its ins and outs, and so forth – before fully switching to such a service. Live with the solution for a while. Giving yourself plenty of time to learn and use its features, determine whether it’s worth the price tag. Does the solution present enough advantages? It is working with your tech setup? Is it better than the old ways of syncing and backup? 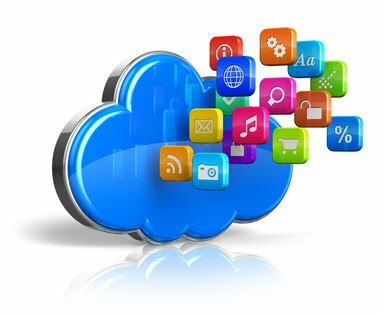 Cloud-based solutions offer a number of great advantages. It’s up to you to see if they’re worth it – and, if they are, to find the right one out of the mix. This post is written by Chandra Goldblatt. Chandra spent two years studying abroad in China. Being in such a cutting-edge environment solidified her love for technology journalism.